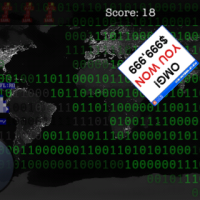 Get ready for THE best internet related iPhone game EVAR! Z0MG! 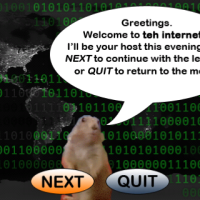 teh internets is the game to play for the ultimate gathering of 21st century Internet memes. 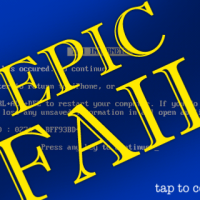 In teh internets, players navigate their roflcopter through dangerous Internet dwellers such as viruses, pop-up ads, trolls (see this blog) and firewalls. While dodging these foes, the objective is to stay alive for as long as possible, accumulating as many points as possible. Bumping into any of the dangers listed above loses lives but players can pick up additional lives along the way, however those opportunities are rare. The roflcopter can also fire cheezburgers, which is how you can kill trolls. <—-TIP! 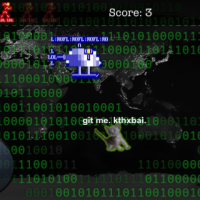 Along the way, players can pick up lolcats to get points and the game introduces slight game play changes randomly such as increasing the speed of play. 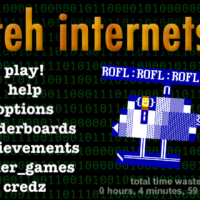 teh internets has OpenFeint integration which means you can play online and against the world leaderboards. OpenFeint also tracks your scores and builds a personal player profile for you that is transferable across any iPhone/iPod Touch game that includes OpenFeint support. 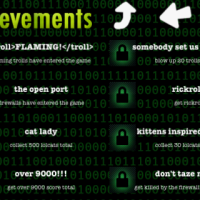 The game also includes 23 achievements that are actually alot of fun to get. 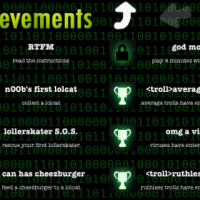 The achievements are also tracked using OpenFeint. My personal favorite, "Get Rick'rolld". teh internets is a game filled with aw3some sauce. The memes are fantastic and will make players laugh, cry and become angry. It's s0 full of win because this game IS teh int3r7ub3s! My roflcopter goes WH00SH WH00SH WH00SH! Does yours? Check out a game play video here. Players control their roflcopter using an in-game D-Pad located at the bottom left corner of the screen. This allows players to move the roflcopter in all directions. 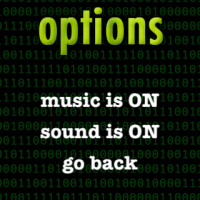 Unfortunately, if you want the controls on the other side of the screen, there is no option for that. So just don’t be a n00b and use the left side controls. Kthx. Navigation within the game is well laid out, with simple menus to browse through. The only issue here is if you are not at least mildly familiar with 21st century Internet memes, the menus may be difficult to understand. 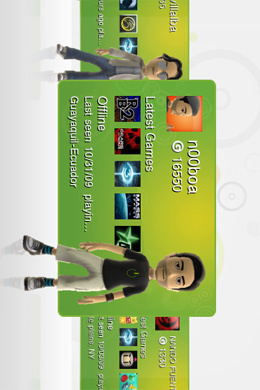 Again, don’t be a n00b. Visuals are epic. The game has such a retro-Internet look and it works so well. The fly-by enemies and their animations all reinforce the entertainment received from Internet memes. 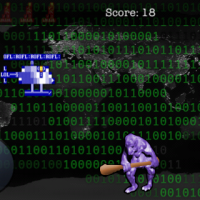 The sounds of the game are subtle in the beginning with the typical dial-up Internet sound and epic techno music, but once players are confronted against insult-spewing trolls, among the other enemies, players are reminded of happy memories of the Internet. 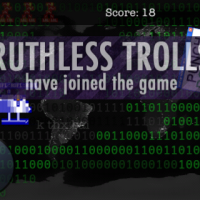 Trolls grunt, lolcats meow and pop-ads shatter on impact. 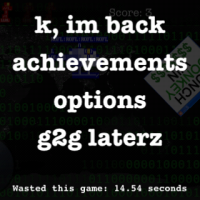 teh internets is teh win wi7h a 4.5 0ut of 5.
teh internets – When Memes Attack is available on the iTunes App Store for $1.99.